George Rutto is a co-opted member of the USIU Alumni Association Council. Prior to this, he was the Chairman, USIU Alumni Association Board of Trustees (2010 – 2015) and Chairman USIU Alumni Association Transition Committee (2013 – 2015). Rutto is a career banker currently working at Consolidated Bank of Kenya Limited as Head of Audit. 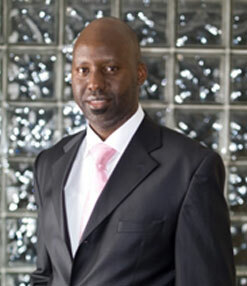 He has previously worked at National Bank of Kenya Limited and Credit Bank Limited in various management positions. Rutto holds a Bachelor of Science in International Business Administration (Accounts and Finance) from USIU (class of 2004) and a Master of Business Administration (Finance and Strategic Management) from University of Nairobi (class of 2011). Rutto is a Certified Public Accountant of Kenya (CPA – K) and was recently awarded a fellowship by the Institute of Certified Public Accountants of Kenya (ICPAK).Other than ICPAK, he is also a member of Institute of Internal Auditors(IIA – Kenya), and The Kenya Institute of Management (KIM).